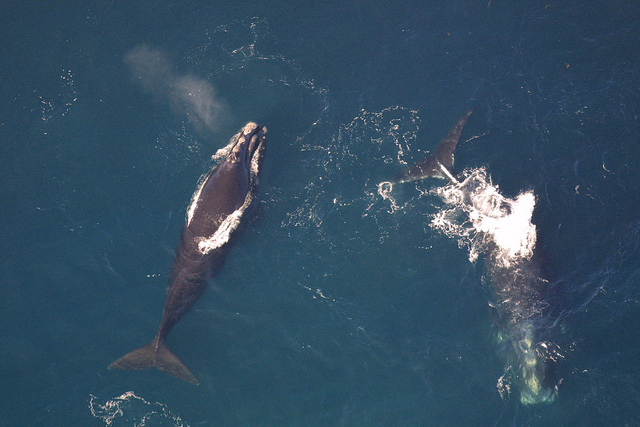 A comprehensive new survey of North Atlantic right whales makes it clear that baby whales sing in "baby talk." The young whales start out by producing weird, warped, often silly versions of the songs and sounds that adult whales make. These calls are close enough to the adult version that researchers can tell which sound the babies are trying to imitate. But the baby's versions are longer, "loopier," and often warble chaotically. As the calf grows up, they continue to refine their calls, even through their teenage years. By the time the whales are 25, their calls are crisp, smooth, purer versions of the same song the whales babbled as babies. To conduct the study, researchers recorded calls and sorted them by individual whale, over the course of decades of research. Each whale has a distinctive voice, just like humans, so the researchers were able to reliably track a whale's verbal development over the years.